This gorgeous card was created by Tina Wardell for a card swap we did recently with my Stamp It demonstrator group. It is stunning in person. 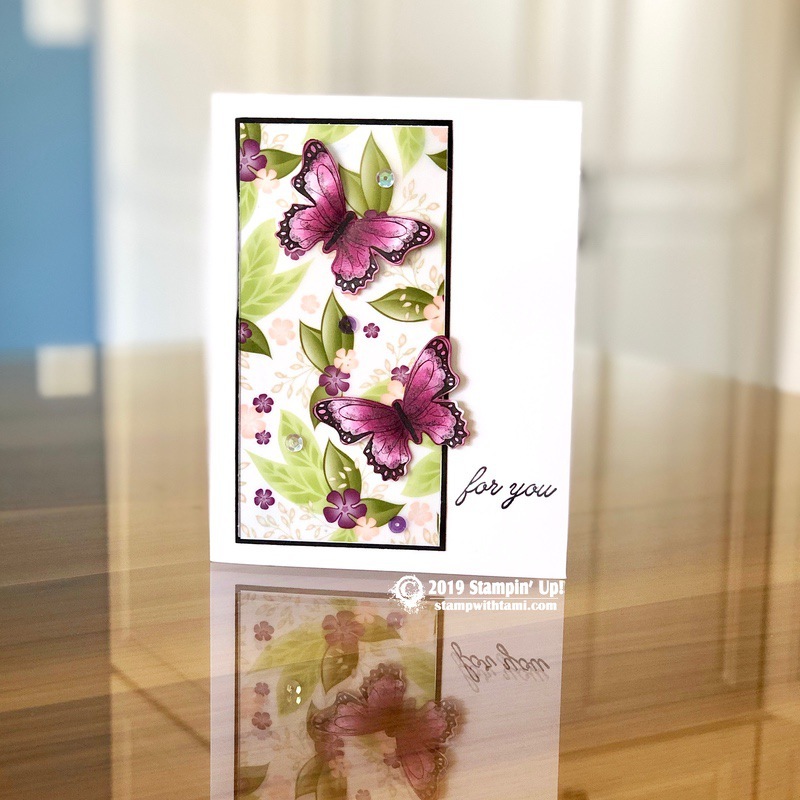 Featuring the Stampin’ Up Beauty Abounds stamp set and Floral Romance specialty designer paper (vellum). An added touch from the Gingham Gala Sequins.